The North of Sardinia comes alive again this year with its eagerly anticipated surf competition and the La Marinedda bay is preparing to welcome the best Italian and international surfers. The Marineddabay Open surf contest is currently one of Sardinia’s most keenly anticipated summer sports events. One of the stages of the Italian FISW surf championship and recognized by Coni, this year is also the only valid date for qualification for the FISW Surf Games, the Italian championship that will be held in October in Capu Mannu in the south of the island. The dates set for the waiting period, the time frame in which the event can be held are from August 15th to September 15th and as always everyone is waiting for the Mistral wind to make an appearance and allow the surfers to put on a top-level performance. And on the beach in front of the Hotel Marinedda Thalasso & SPA entertainment is guaranteed! This breathtakingly scenic bay is the perfect setting for spectacular surfing twists and acrobatics in an exciting combination of music and sport. 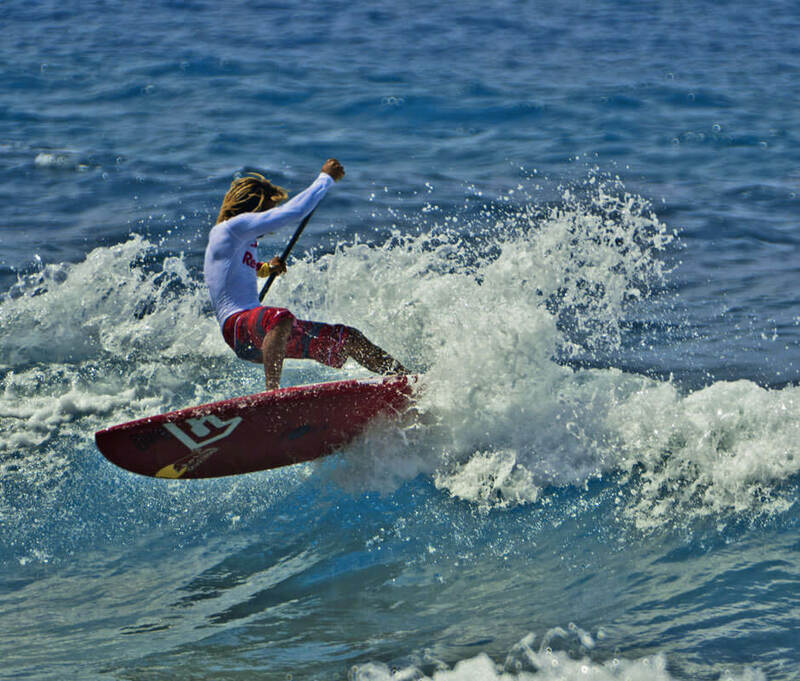 Now in its fifteenth edition, the Costa Rossa contest has hosted internationally renowned athletes such as the Sardinian-Cape Verdean Ayrton Cozzolino, the Sardinian-Hawaiian big wave rider Francisco Porcella, the Franco-Brazilian Eric Rebiere and the very young Leonardo Fioravanti. At the same time up-and-coming young surfers will need to be ready to compete in the Nesos King of Grommets competition aimed at under 18s, under 16s, under 14s and under 12s and there will be moments of fun and games with the Crowded Marinedda, the show in which the surfers present throughout the event will delight and entertain spectators by riding the waves in original masks and costumes. Besides the activities put on by the Marinedda Bay Surf Club and the possibility of doing surfing courses during your holidays in the North of Sardinia, there is also the impressive skate ramp overlooking the sea which is one of the top attractions where even little children can have a go at entertaining acrobatics.